Phew, it’s all over for another year, and I can show all the things I made for gifts now they’re with their recipients! I was pretty sly with my project choices – making gifts gets a rep for being a stressful undertaking but I really enjoyed it. 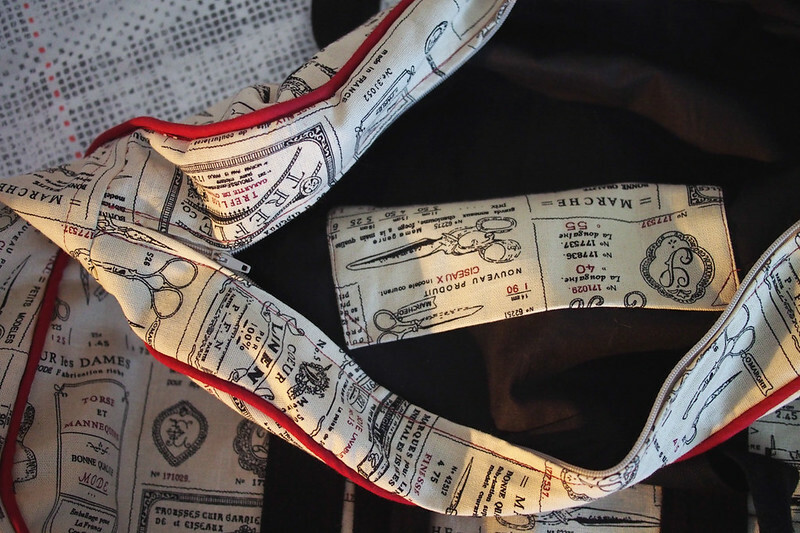 Basically I see it as an excuse to buy (or stashbust) fabric and to sew a lot, but for selfless ends – win win! 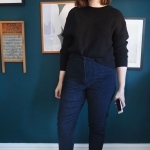 I also went for either quick/fun knit projects or things i wouldn’t normally pick for myself, so it was fun to try some new types of garment out. 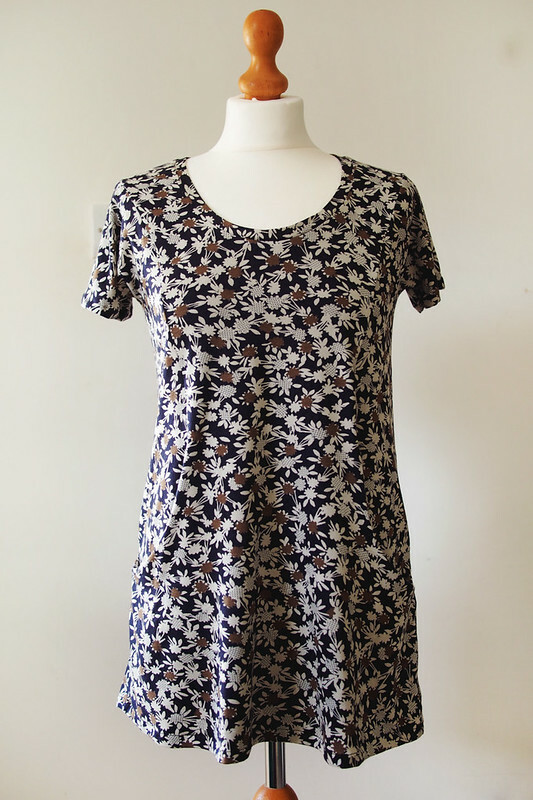 I made Simplicity 1620 top for my aunt Mandy out of a gorgeous John Kaldor viscose jersey from Stitch Fabrics. 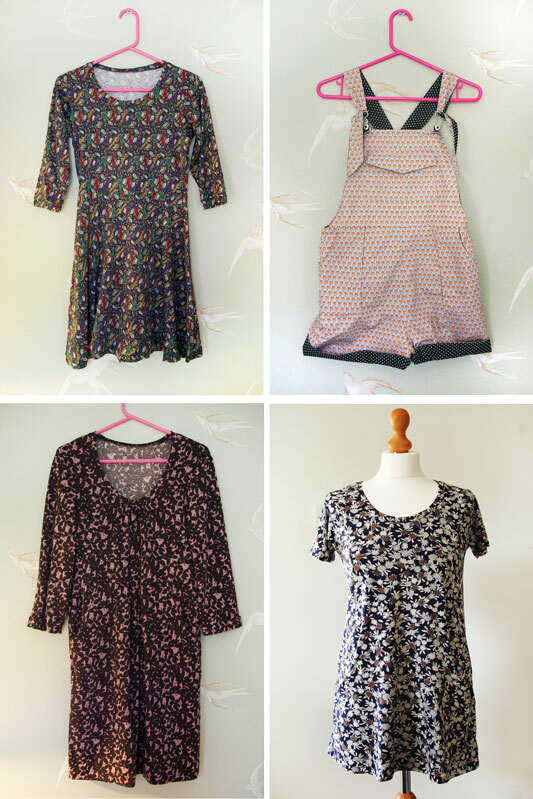 A nice quick project all on the overlocker – I just removed a wedge from front and back neck (narrow shoulders and hollow chests run in the family) and sized way down as I was using a knit instead of woven and the ease is typically ridiculous. I also self-lined the yoke burrito-style to finish the neckline and arms; the pattern doesn’t specify that but it made sense to me. The pattern is the cover gift on Sew magazine this month if you’re interested. 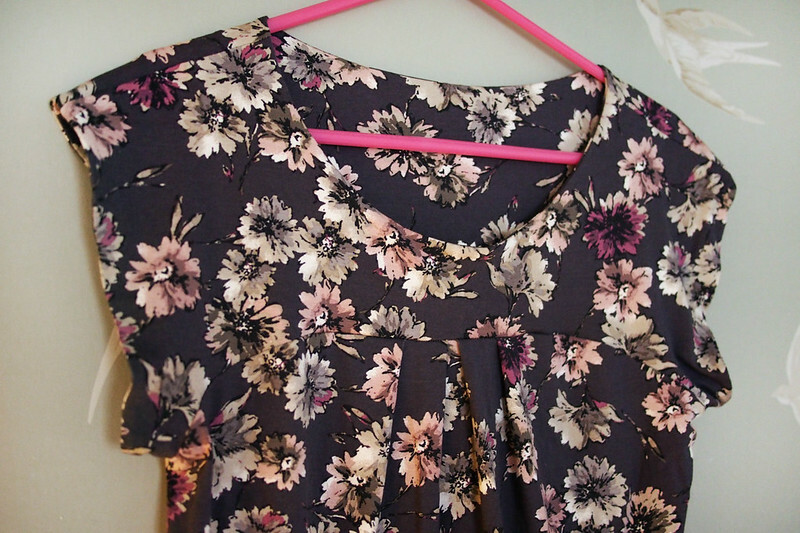 My mum got another version of a dress I made for her birthday back in September (I didn’t blog them at the time but here’s a photo). It’s a self-draft rub-off of one of her favourite dresses that she gave me to copy. It wasn’t a very complex shape to reproduce – separate waistband, slashed-and-gathered neckline and front skirt, yoked pockets – and the fit turned out bang-on so it was just a case of making it up again. The fabric’s a rather nice snuggly knitted-effect jersey from Abakhan. 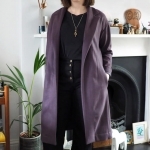 She loved it and it looks fabulous on her – I’ll try to get a photo as I bet she’ll wear it for new year’s and you can’t see the shape on the hanger. 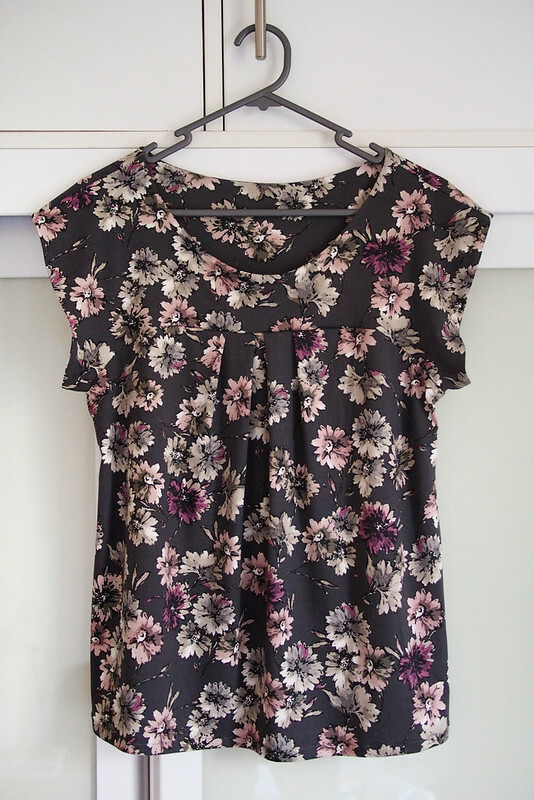 I also made my mum a Love Notions Trendy Tunic using more John Kaldor jersey from my stash. I was disappointed with this pattern though; nothing seemed to line up properly and the drafting is pretty wack, with the arms being very tight and a load of excess fabric pooling in the back. I should have stuck with self-drafting as it ended up not fitting/suiting her unfortunately. In fact my recipients ended up having a bit of a switcheroo – this top ended up with Mandy (who wore it Boxing Day and it looked great on her), and Mandy gave her 1620 top to my other aunt Christine who it suited better. Hey, if everything ended up with a happy recipient I don’t mind! I probably wouldn’t make so many ‘surprise’ garments again though as I learned it’s pretty hard to predict someone’s sizing and taste, even close family. 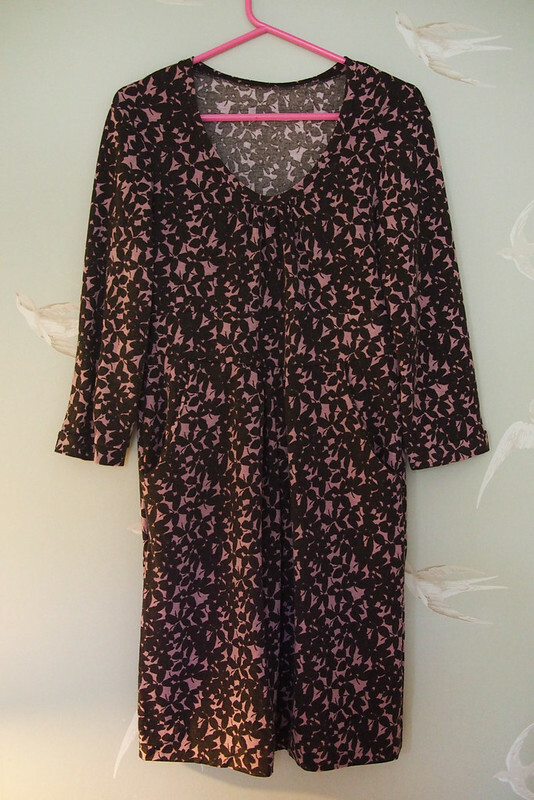 For my little sister I made a Dixie DIY ballet dress from some Liberty jersey – I happily grabbed the very last 1.5m of this while it was on sale in the store itself. 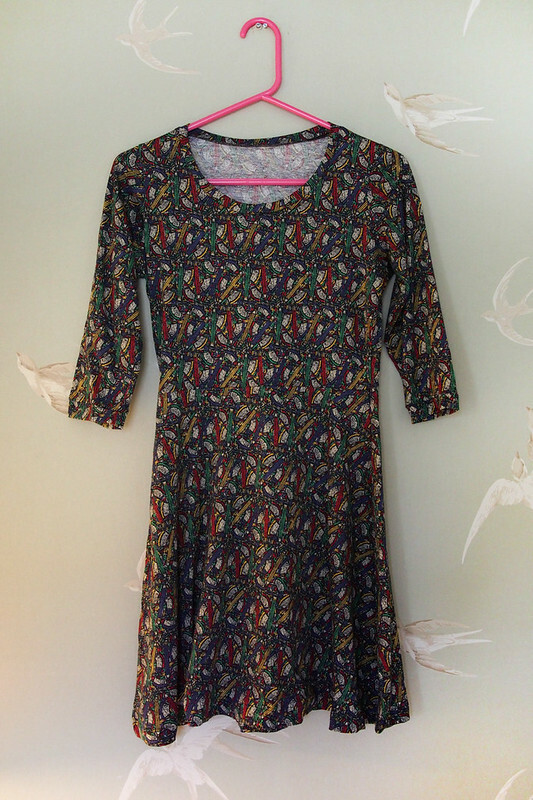 (If you recognised the Shavings and Sharpenings print, I’ve used the same print in tana lawn to make myself a dress too.) I’ve made this pattern for her before so knew it’d fit, and she immediately wore it for the rest of Christmas Day so it was definitely a hit. 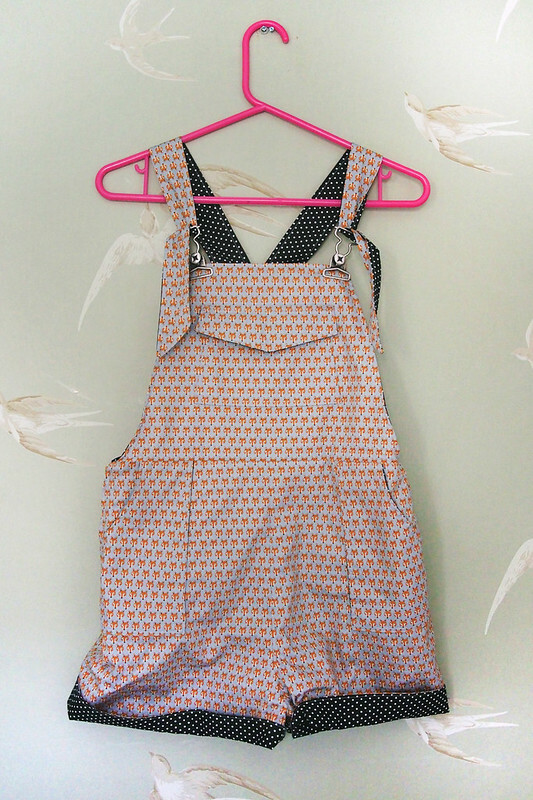 At last minute I also made her a set of Pauline Alice Turia Dungarees out of two quilting cottons I bought with her in mind (she loves foxes, remember?). I had the pattern and notions all ready from early Dec but thought I’d run out of time to make them. Turns out they were a fairly quick sew, even with my decision to fully line them and try to achieve a semi-reversible finish. I kind of winged the construction order/method but ended up with quite a clean result – don’t ask how! 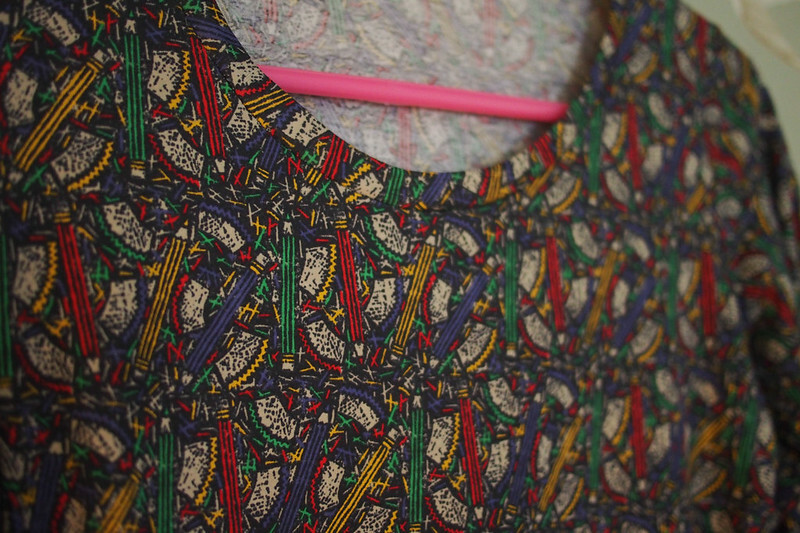 It luckily fitted perfectly and I’m sure we’ll make another pair for her sometime, it’s a fab pattern. I quite fancy a corduroy dress version for myself actually. I was incredibly touched to receive a beautiful handmade gift back from Natty. 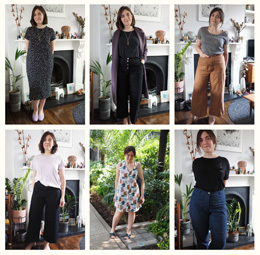 She’s been learning to sew over the last few months, taking two courses at Ray Stitch and suffering my very poor tutelage occasionally in between. 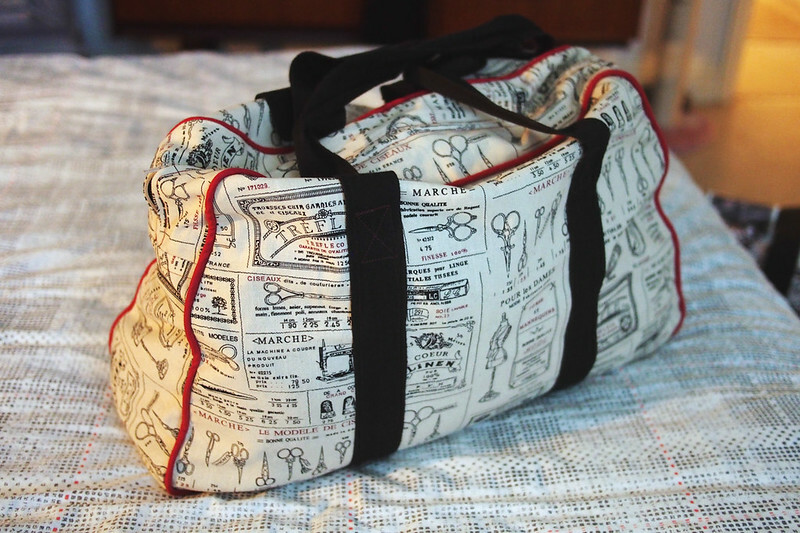 She made me this stitchy-themed holdall bag, and I seriously couldn’t have done a nicer job myself. Her piping and topstitching are totally on point and I was so touched that she pushed herself to make something like this for me when she’s still a beginner. I nearly cried! 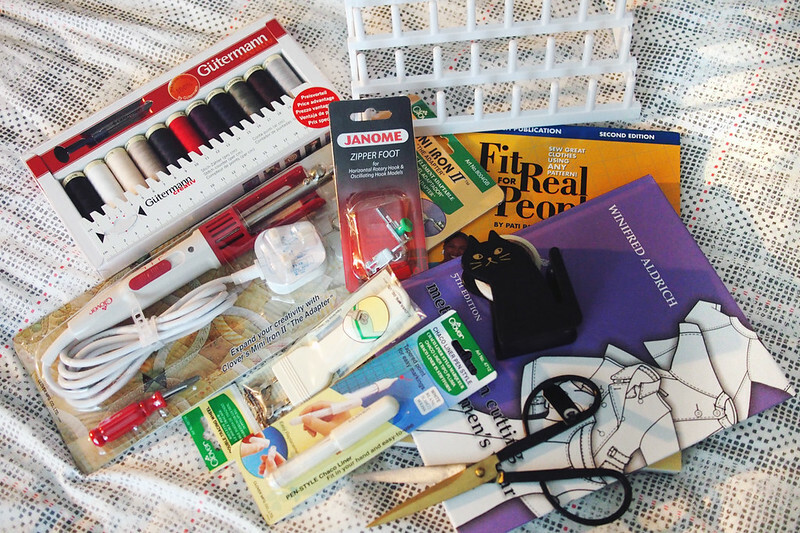 Finally, a few other sewing-related gifts I was delighted to receive. Dorky stuff: a mini iron! Thread rack and stock of threads, Chaco chalk pen, double tracing wheel, new zip foot! Fancy brass scissors and a kitty tape dispenser to make PDFs more fun. And fitting and pattern drafting books which I had my nose buried in all Christmas day. Sewing honestly brought me quite a lot of extra Christmas joy, both in the giving and receiving of handmade gifts. I can’t wait to get back to the machine now. What lovely things! Sounds like all the surprise sewing had a happy ending which is great. Your sister’s fox overalls are the best! Can’t wait to see what you get to creating in the new year! Very generous of you to make so many lovely sewing gifts, but I agree it’s hard to judge fit and taste etc. and lucky you getting all those fab sewing gifts too. Amazing gift giving and receiving, you must have been so looking forward to giving it all to the intended recipients! This year is the first year I didn’t make anything and this is making me wish I had. Oh well! So impressed by your sisters bag. All that work is definitely a daunting prospect for a beginner and it looks so tidy. I look forward to seeing a whole new year of makes! Yeah, I really was excited to see everyone’s reactions, it made it all worth it. So impressive! I wimp out and usually make bags and cushions….. No fitting needed! I think that’s quite wise actually! Wow your family are very lucky to have such a creative relative – and by the looks of your sisters bag – it runs in the family! 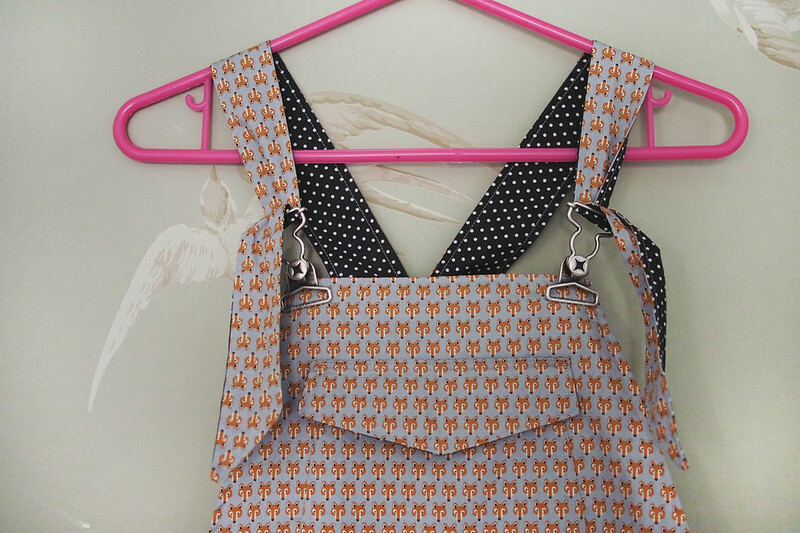 YOU MADE REVERSIBLE DUNGAREES FOR YOU SISTER??? I”m in awe. DId they fit well? The bag she sewed you is just lovely. Have you convinced her to blog yet? They fit great, I’ll try to get a modelled photo. She’s not the blogging type, hates computers! Wonderful gifts! These are all so lovely! Looks like a fantastic handmade Christmas!! Well done on all those gifts! Those dungarees are awesome!! Hope you are having a happy holiday season!